You can join the PBA for $12/year. You might consider joining the club first to save $10. 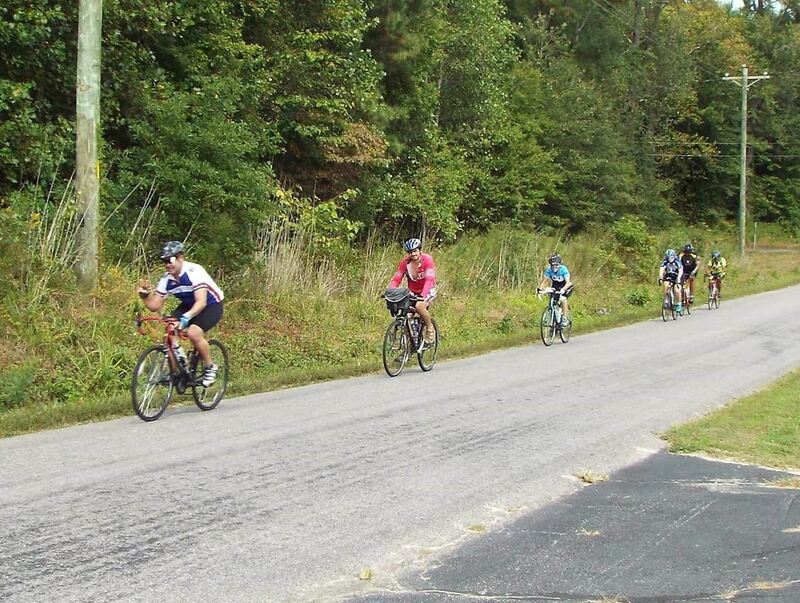 You will also receive a discount for the Surry Century so you come out ahead if you plan to ride both events. Membership has its advantages! Your one year, $12 membership will save you $10 on this event and another $10 on the Surry Century in September. I acknowledge, agree and represent that I understand the nature of cycling activities and that I am qualified, in good health and in proper physical condition to participate in such activity. I fully understand that cycling involves risks and dangers including permanent disability, paralysis and death. I hereby release, discharge and convenant not to sue the Peninsula Bicycling Association or Magical Mystery Bike Tours, LLC. I have read this agreement and agree not to sue any of the above. Thirty miles to a metric century. Held on the Saturday before Memorial Day. Starting from Windsor Castle Park in beautiful Smithfield Va. Home of Smithfield Foods and great bacon! 3 Routes that range from 32 to 62 miles take place on quiet and lightly-traveled roads though Isle of Wight County. All routes have well stocked rest stops to keep you rolling. Roads are mostly flat with a few small rollers. Very few cars on the course. Enjoy scenic views as you travel through Isle of Wight & Surry Counties. Wildlife sightings are common so look around. Afterwards, put your bike away and then enjoy a cookout that includes locally smoked Pork BBQ as well as vegetarian and gluten free items. Lunch is included in your registration fee. 7:00 am to 9:00 am: Check in and on-site registration. Free mechanical check up will be available by Conte's Bike Shop. 8:30 am: Mass start for the 50 mile route. 9:00 am: Mass start for the 32 mile route. 11:00 am until the last rider is in: Post ride party and lunch at the Park. Time to celebrate a great day riding! Fee includes maps, cue sheets, marked routes, rest stops, homemade snacks, gatorade, water, SAG support, Police and Motorcycle Support (getting out to the country roads) and lunch at the end of the ride. A great swag bag full of goodies that include a custom printed water bottle from Conte's Bike Shop and a stemless wine glass from the Williamsburg Winery and more.